PAUL BISHOP ~ WRITER: NOW AVAILABLE IN PAPERBACK! Deptford, England, 1888 … Richard Stokes – one half of a tag-team carnival boxing duo – has vanished, leaving his loving wife, pugilist Eby Stokes, homeless and penniless with only questions and no answers. A mutual friend asks Holmes to look into the disappearance. Watson believes the matter to be a common case of abandonment, and Holmes’ interest merely an excuse to try his hand in the boxing booths of a visiting circus. However, when they are almost killed, Holmes and Watson’s only remaining clue to Stokes disappearance harkens back to a boxing club disbanded in shame more than sixty years earlier. Why did Stokes abandon his wife? 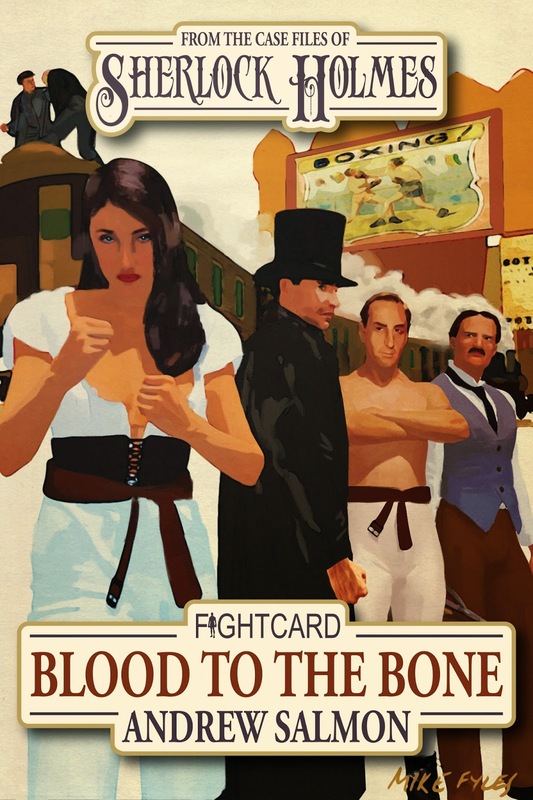 What possible significance could the long extinct Pugilistic Club have in the matter? Who is behind the fire that almost took the lives of Holmes and Watson? 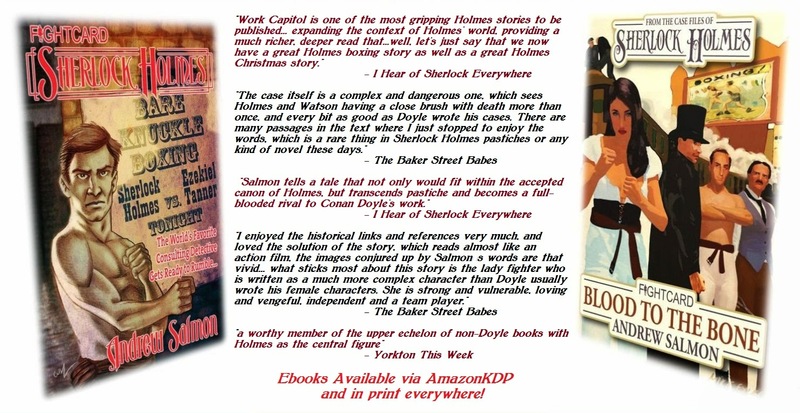 Joining forces with Eby Stokes, Holmes and Watson are determined to find the answers. The kaleidoscope lights of the carnival hide many secrets, including a threat to the foundation of the British Empire.